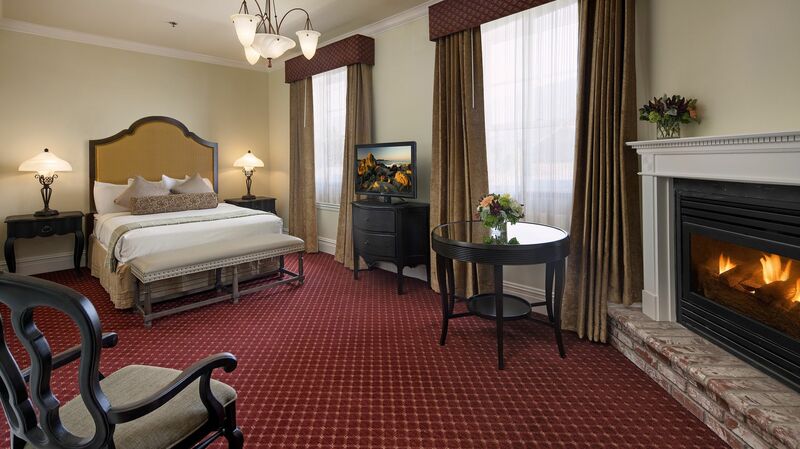 The Most Historic Rooms At The Paso Robles Inn – And the only original rooms from the Grand Hotel which opened October 17, 1891. The Ballroom is the only remaining building saved from the first that burned the main part of the hotel in 1940. 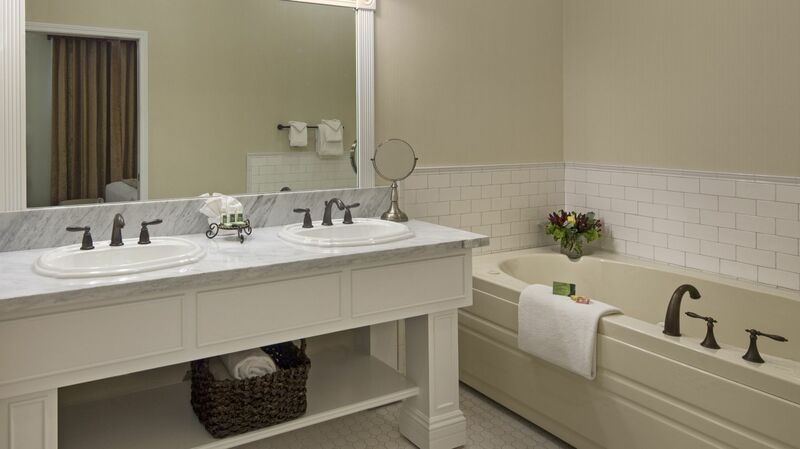 Today we offer guests the same grand style as they might have experienced in the late 1800’s with large bathrooms featuring white marble floors and countertops and oversized soaking tubs. 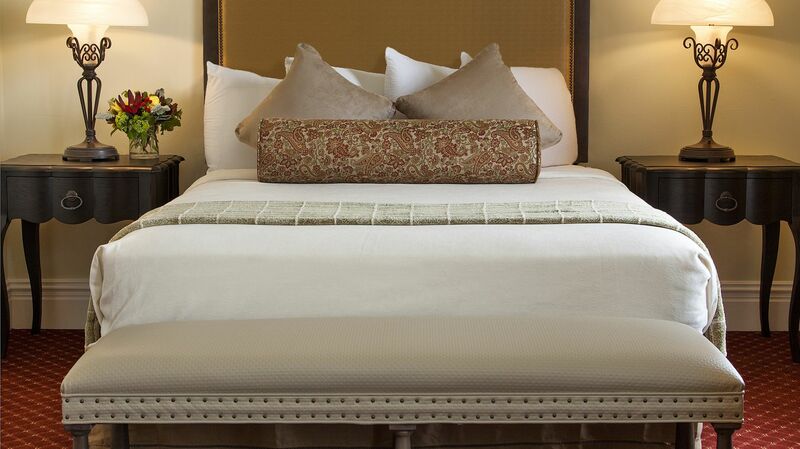 The guest rooms, recently renovated, feature traditional furnishings reminiscent of the era with grand style offering an enchanting atmosphere. Offering an enchanting atmosphere, our newly-renovated grand ballroom rooms feature a fireplace and double vanity bathrooms.